Parc Brickfields is a development containing 24 social and affordable homes; 16 houses and 8 apartments for Wales and West Housing Association. The development is located on the former ITT Factory Site on Cefndy Road in Rhyl. Anwyl Construction delivered the contract to build the new social housing development for long-standing client, Wales & West Housing. 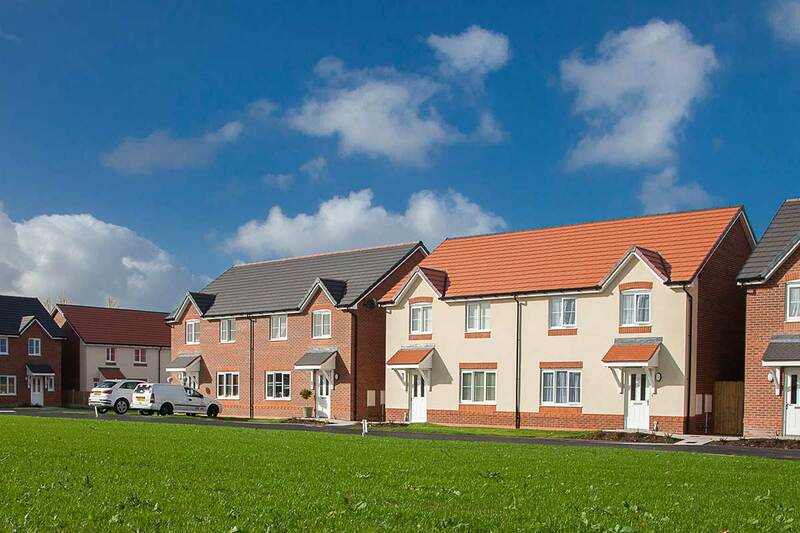 The new homes are situated on Cefndy Road in Rhyl and are welcomed addition to the area. 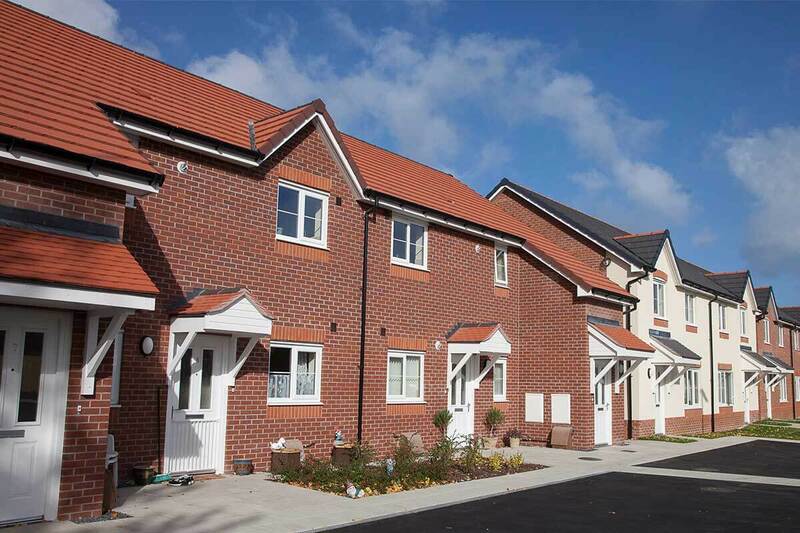 The houses each have their own rear garden whilst the flats have a shared garden area, along with at least one allocated parking space per dwelling. 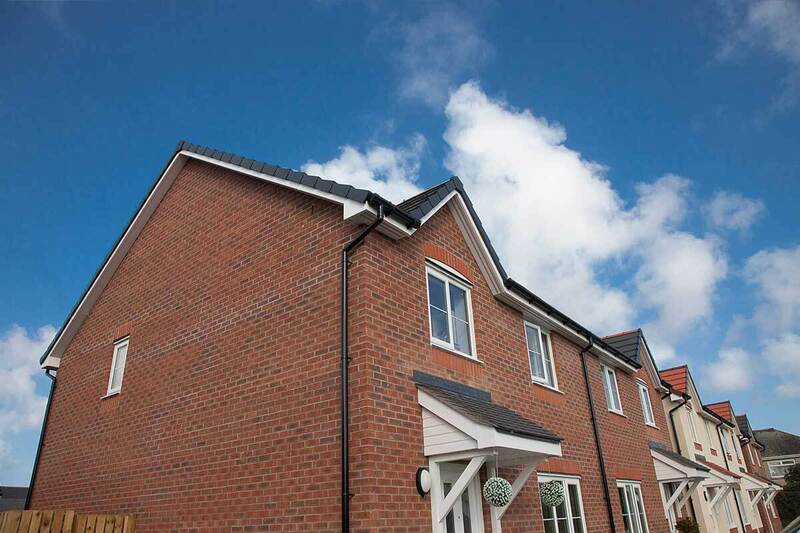 All properties are of traditional construction with timber roof trusses and Marley modern roof tiles. 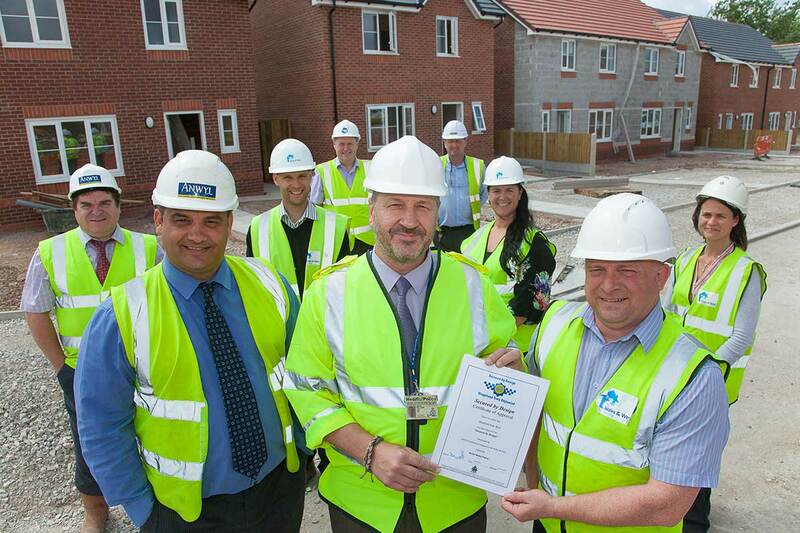 This development achieved the Secured by Design Award. 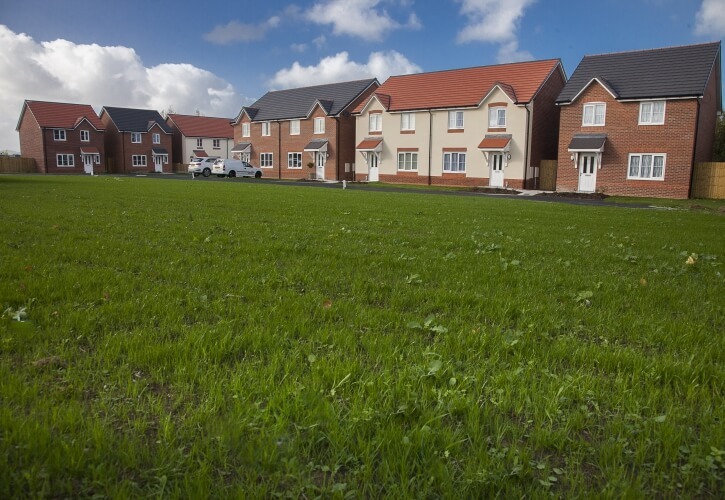 Anwyl Construction’s project team anticipated a huge positive impact in the Rhyl area. 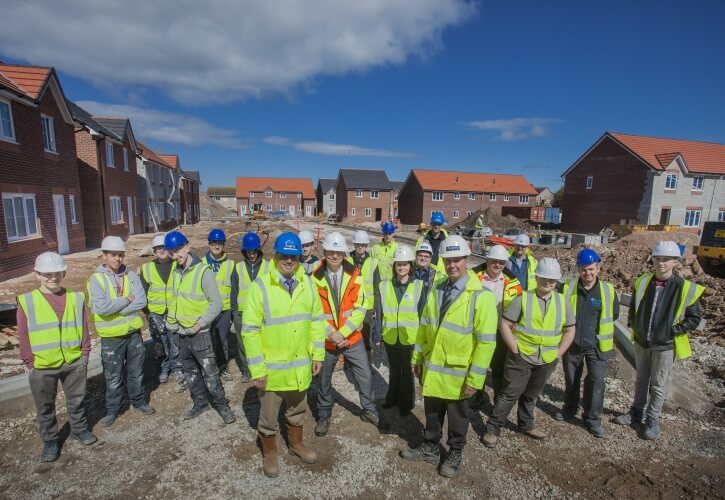 The local economy saw a boost from the appointment of local Sub-Contractors and Suppliers which resulted in guaranteed work in the area and increased the trade amongst local businesses. 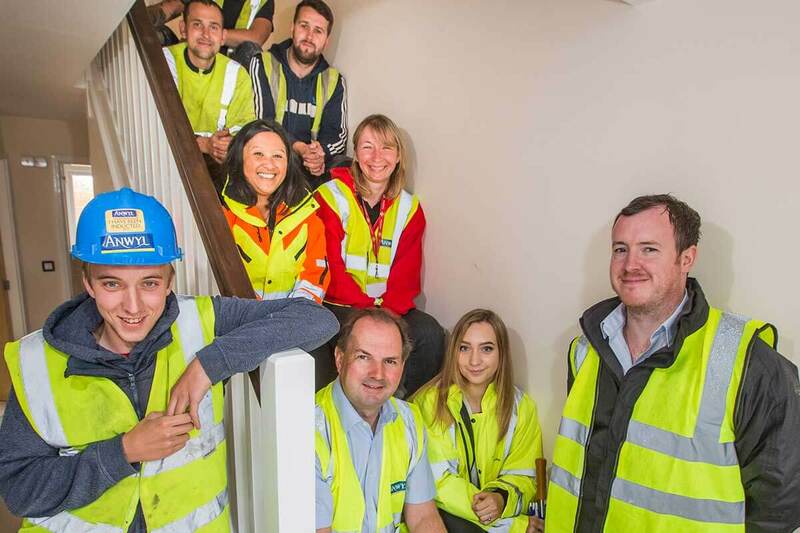 Anwyl Construction teamed up with the Princes Trust ‘Get into Construction’ Scheme, offering a number of unemployed individuals a 2 week placement working on site, giving them the hands on experience and new skills to further develop. As a result of this scheme, 2 trainees were offered permanent employment with the contractors they were working with.